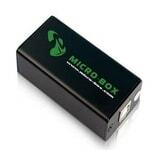 Micro Box dongle latest setup is recently released for free download for windows. This micro box read phone information, direct unlock, remove locks, pattern, password, pin, remove Google Accounts, write flash, repair IMEI, reboot in different states, permanent root, temporary root, write recovery, unlock bootloader and much more new & unique features. This Micro Box software is all in one mobile tool with unlimited unlocking for phones.this is very useful to remove pattern lock and flashing mobile phones for free of cost. This Micro Box Dongle tool helps PC users to flash, unlock, service, update the firmware of huge collection of mobile phones like LG, HTC, Samsung, Blackberry, Micromax, Qmobiles, Alcatel, Sagem android phones and other mobile phones. With the help of Micro Box crack latest version 2018 on your Windows XP, 7, 8, 9, 10, Vista 32 bit/64 bit. You can easily and smartly flash, servicing unlocking your mobile phones.if you have access to Micorbox on pc and laptop, then you just need to install Microbox driver. Without USB Driver Micro box can’t work, the box must require drivers. Doesn’t worry if you box has not drivers, at the end of this page free download box drivers. If you wish to flash your mobile phone, then take a backup of your important data and files like contacts, SMS, Emails, images and other important files. Once the flashing process is started you can lose your all important data and files. If you wish to download MicroBox full setup on your windows system. then use safe and secure download link which is given at the end of the post. On the given links you are able to download Micro Box and its Driver without pay of any cost. So just click the given link for free download Micro Box with Driver. Just single click and your download start within few seconds.